Two quilt designs in one pattern. 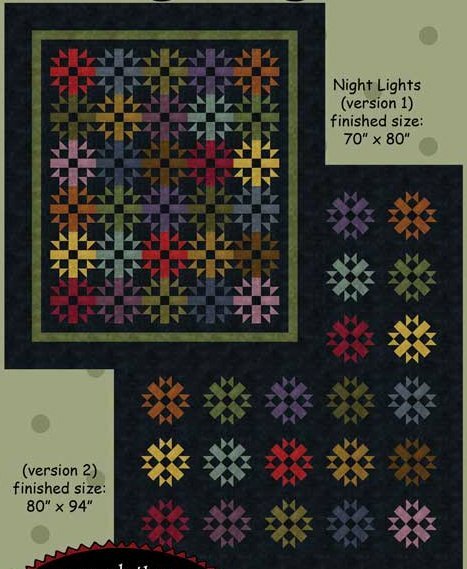 Pattern, by Bonnie Sullivan of All Through the Night, includes easy-to-follow instructions for both quilts. Version One 70" x 80"
Version Two 80" x 94"